Angel David, Tierra Nueva’s Honduran director, has been my friend since I met him in his village of Mal Paso 32 years ago. We talk several times a week about life, Tierra Nueva’s coffee farm, and the Bible studies he’s leading. I ask him what he found most interesting. In a country where class divisions separate profesionales (anyone with a high school diploma and above) from gente humilde (humble or poor people) and campesinos (peasants), the magi’s awareness of the high value of Jesus, the humble one, gets people’s attention. In the days of Herod the King they came ready to pledge their allegiance to another, hidden king. Angel David’s interest piqued mine, prompting me to revisit the story with our two pastors in training, Julio and Salvio. 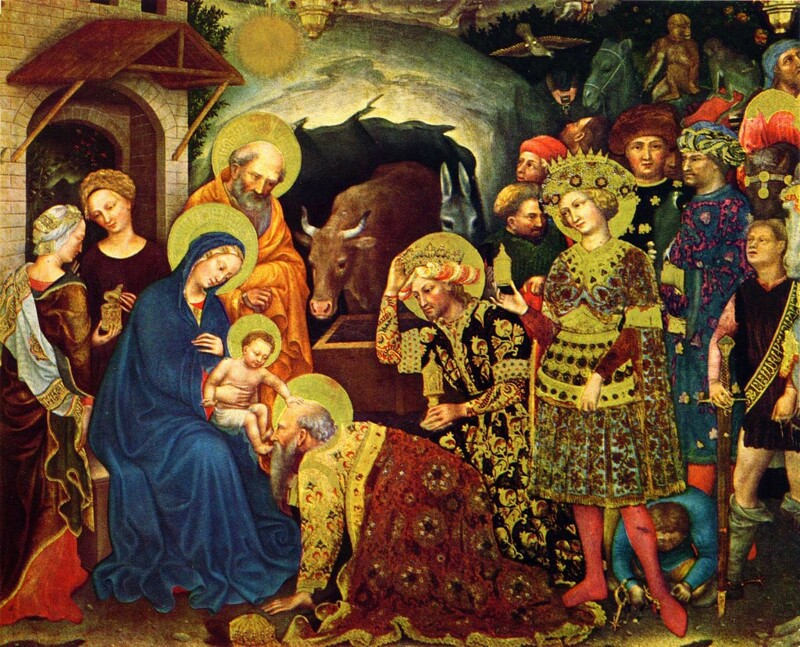 The story opens with the magi coming to Jerusalem asking: “Where is he who has been born King of the Jews? We saw his star in the East and have come to worship him.” They expect the people in Jerusalem to know about the birth of their king. But King Herod and all Jerusalem were agitated by the magi’s quest for the King of the Jews. Herod, a puppet king of the Jews under Roman occupation, gathers together (Greek synago) all the chief priests and scribes, asking for intelligence on where their Messiah was to be born. The religious leaders offer their Bible knowledge: Bethlehem is the place. This information facilitates Herod’s later slaughter of all the baby boys two and younger, though the OT Scripture cited in Matthew 2:6 referring to Messiah from Bethlehem describes a commander who is shepherd over God’s people. “All the chief priests and scribes of the people” they are called. Do they belong to the people (and earthly human powers) more than to God? Or are they betraying the people by complying with the king rather than acting as shepherds. The outsiders, pagan magi (sorcerers, astrologers, astronomers), appear to be the only ones paying attention to God, who is guiding them to the true King. Today our prophetic vocation is continually at risk of being co-opted by cultural and political forces. Noteworthy in this story is the leaders’ intellectual knowledge of where the Messiah was to be born, combined with their total ignorance that the King of the Jews (their king) has arrived. The pagan outsiders are more in touch with the Spirit. Later, Jesus will address the city of Jerusalem regarding its’ impending destruction “because you did not recognize the time of your visitation (Luke 19:44ff). Do we, too, risk missing our visitation? They are never abandoned in their search, but are personally guided to God’s Messiah. They are not guided by religious leaders or politicians, but by stars that God had created to mark “signs and seasons, days and years” (Genesis 1:14). They, together with the humble shepherds alerted by angels, are the select few witnesses of this first Epiphany. This realization brings them great joy. When you experience God communicating personally with you to guide you the truth, this results in rejoicing exceedingly with great joy, a quality of joy I long to experience in 2015 and beyond. Jesus himself is described as being filled with this joy when he says: “I praise You, Father, Lord of heaven and earth, that you have hidden these things from the wise and intelligent and have revealed them to infants.” (Matthew 11:25). Deliver us, oh God, from the wisdom and intelligence of this world that keeps us in the dark regarding who you are and what you are doing. When the magi enter the house and see this child who is the true King of the Jews, they fall to the ground and worship him. As Angel David observed, they do not offer their gifts and homage to Herod, the official king of the Jews. Rather they present gifts of gold, frankincense and myrrh to the unrecognized child king, who later dies—rejected by the authorities and the people—between two thieves as “King of the Jews” (Matthew 27:37). The magi embody the subversive worship of Jesus as King that refuses allegiance to the powers and the people, putting total trust in God’s revelation to discover the good and to avoid evil designs. Rather than reporting back to Herod as ordered, “having been warned in a dream not to return to Herod,” the magi leave for their own country by another way” (Matthew 2:12). Today I feel inspired by my friend Angel David and by this story to join the magi on “their way.” I want to be led by God’s unusual means to discover and rediscover Jesus, the King of the oppressed and of all people. I pray for mercy not to be trapped inside the “all” of the religious leaders, who had intellectual knowledge and an audience with the powers, but who missed their time of visitation, the appearance of Jesus. I pray for a movement of Christ followers who are alert to God’s guidance to go “another way,” the way indicated by God, who leads all who are willing to pay attention back to their lands to bear witness to Jesus and his beautiful Kingdom.